Hardware – 4 megapixel camera (1080P video), 2D microphone array, Intel Atom® Processor, dual-band Wi-Fi, USB and micro HDMI ports, 8 GB of memory for models and code. Software – Ubuntu 16.04, AWS Greengrass Core, device-optimized versions of MXNet and Intel® clDNN library, support for other deep learning frameworks. The response to this AWS re:Invent was immediate and gratifying! Educators, students, and developers signed up for hands-on sessions and started to build and train models right away. Their enthusiasm continued throughout the preview period and into this year’s AWS Summit season, where we did our best to provide all interested parties with access to devices, tools, and training. We made DeepLens devices available to participants in last month’s HackTillDawn. I was fortunate enough to be able to attend the event and to help to choose the three winners. It was amazing to watch the teams, most with no previous machine learning or computer vision experience, dive right in and build interesting, sophisticated applications designed to enhance the attendee experience at large-scale music festivals. The three winners went on to compete at EDC Vegas, where the Grand Prize winner (Find Your Totem) was chosen. Congrats to the team, and have fun at EDC Orlando! 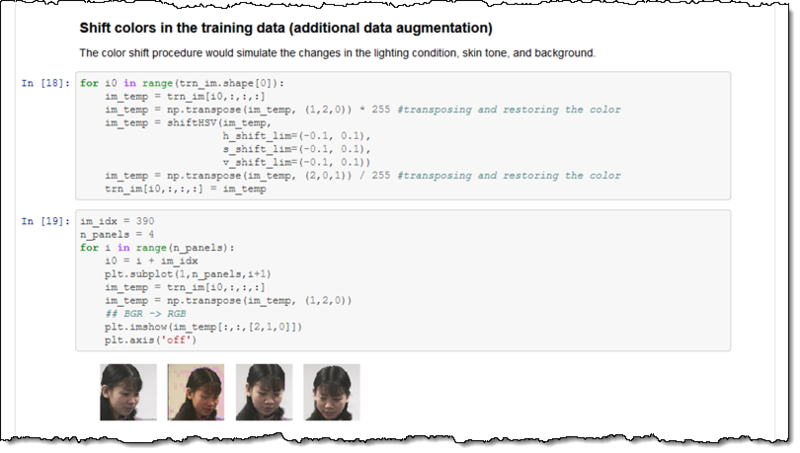 We also ran the AWS DeepLens Challenge, asking participants to build machine learning projects that made use of DeepLens, with bonus points for the use of Amazon SageMaker and/or AWS Lambda. The submissions were as diverse as they were interesting, with applications designed for children, adults, and animals. Details on all of the submissions, including demo videos and source code, are available on the Community Projects page. The three winning applications were ReadToMe (first place), Dee (second place), and SafeHaven (third place). From what I can tell, DeepLens has proven itself as an excellent learning vehicle. 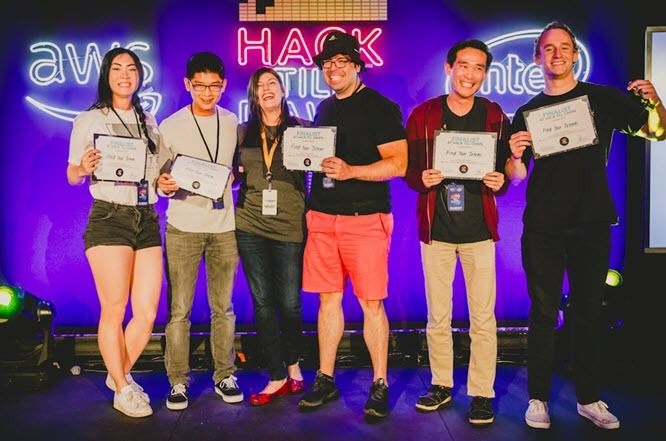 While speaking to the attendees at HackTillDawn, I learned that many of them were eager to get some hands-on experience that they could use to broaden their skillsets and to help them to progress in their careers. Gluon Support – Computer vision models can be built using Gluon (an imperative interface to MXNet), trained, imported to DeepLens, and deployed. SageMaker Import – Models can be built and trained in Amazon SageMaker and then imported to DeepLens. Model Optimizer – The optimizer runs on the device and optimizes downloaded MXNet models so that they run efficiently on the DeepLens GPU. I am happy to report that DeepLens is now shipping and available to order from Amazon.com. You can get one of your very own and start building your own deep learning applications within days. Devices can be shipped to addresses in the United States, with additional destinations in the works. Expanded Framework Support – DeepLens now supports the TensorFlow and Caffe frameworks. Expanded MXNet Layer Support – DeepLens now supports the Deconvolution, L2Normalization, and LRN layers provided by MXNet. Kinesis Video Streams – The video stream from the DeepLens camera can now be used in conjunction with Amazon Kinesis Video Streams. 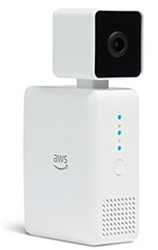 You can stream the raw camera feed to the cloud and then use Amazon Rekognition Video to extract objects, faces, and content from the video. I am looking forward to seeing what you build with your very own DeepLens. Drop me a line and let me know!